wants to be the best in Semiconductor, FPD, and IT Convergence field. 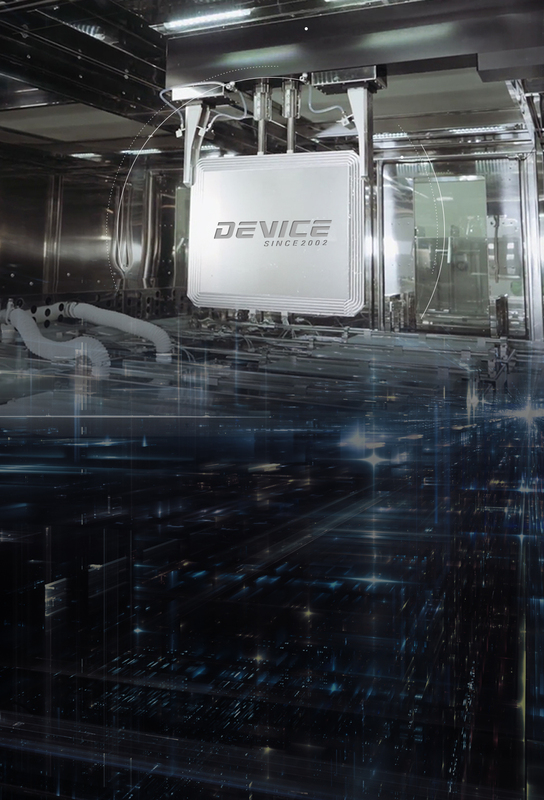 DEVICEENG Co.,LTD. which is established in july 2002 is a young and potential company with passion and challenges.We supply automatic control system of high value added Semiconductor (Auto FOUP Cleaner,POD Cleaner, Wet Station),Display(Mask Cleaner, PFC Cleaner, Spin Coeter), Material Parts(Filter, Film) to domestic and overseas Semiconductor and LCD manufactures through several years of experiences and technical development. We are going to develop and enhance competitiveness through high investment on R&D focused on the next-neneration semiconductor, FPD equipment, development sector and business solution sector.